Since early 2007, the ability to borrow in super has allowed many investors to leverage their superannuation directly into property. This is widely seen as an attractive tool to reduce risk and volatility, as well as improve returns. This ability to leverage is best achieved through a Self-Managed Superannuation Fund (SMSF). SMSFs currently account for approximately 32% of all superannuation funds, as such; it is the largest individual segment; above industry, retail and other sectors. There are quite a number of crucial factors that need to be considered to avoid making essential and costly mistakes. It is essential, that the right questions are asked, and the right issues are addressed when it comes to operating an SMSF, and using it to invest in property. As an SMSF is a trust, it must be controlled by a trustee. A trustee does not necessarily have to be an individual, it can be a company as well. Trustees must operate for the sole purpose of providing retirement income, and all SMSF members must either be an individual trustee, or director in the corporate trustee. SMSFs can have up to four members, thus allowing various members of a family, or associated persons, to pool their superannuation into the one SMSF. The Limited Recourse Borrowing Rules (LRBR) are a set of very strict rules that constitute the structure and legalities of borrowing. It is important to note that even though it is allowable to improve the property (e.g. another bathroom or bedroom) while debt is present, these costs must be sourced from internal SMSF cash reserves. It is not permissible to make any major/ fundamental changes to the property from what was originally purchased, and purchasing land under one contract, and then building under a second contract is not allowed. If debt is still present, the property cannot be held within the SMSF directly, but rather, it must stay in a ‘holding trust’. In the event of a default, the property can be used as security and seized; hence the limited recourse. It is worthy to note that planning for an unexpected low valuation is a major step in this process. Remember that any shortfall incurred will need to be made up, if the bank does not lend any further. What sort of property can I purchase? Any type of property; whether it be residential, commercial, or industrial, can be purchased with an SMSF. A property cannot be purchased from another member or related party. As the centric focus of an SMSF is to provide retirement income, a residential property cannot be rented off an SMSF. You can however rent a ‘commercial property’ (non-residential property used for commercial profit-achieving purposes). As the tax rate on Super earnings is 15%, comparing to an individual marginal tax rate (which can be as high as 45%); many choose to purchase property in super, and then pay it down in super, to then sell back to themselves once within the pension stage. Incurring the cost of stamp duty needs to be considered here, however this is usually quite acceptable on account of the fact that you can pay down the debt much faster in super. Can I negatively gear in my SMSF? A major benefit of superannuation is that once an individual reaches the pension stage, the fund pays no tax and the members pay no tax on the pension received. ‘Negative gearing’ basically refers to when the rental income after operating costs is not enough to cover interest expenses. If a property is purchased outside super, any shortfalls in interest against rent are payable, and a credit is received at tax time. If a property is purchased inside super, individuals will need to ask their employers to salary sacrifice any shortfalls which will reduce taxable wages. Thus, your tax benefit will be the same. The SMSF will receive the contribution and will use it to absorb the shortfall, further leaving you in the same tax position as compared to buying outside super. 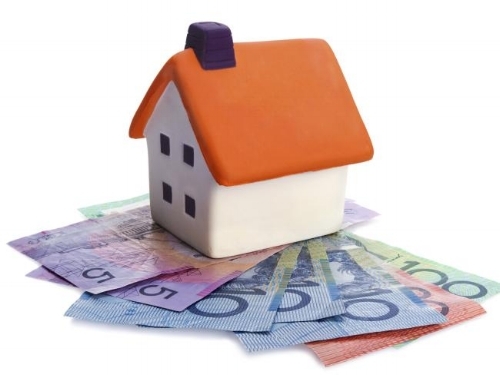 Understanding Your Land Tax Obligations 5 Mistakes That Property Investors Must Avoid!